This month's theme as part of Michael's Makers is back-to-school. With kindergarten just over a week away I wanted to make something for Haley that would encourage her love of reading as she goes into the new school year. 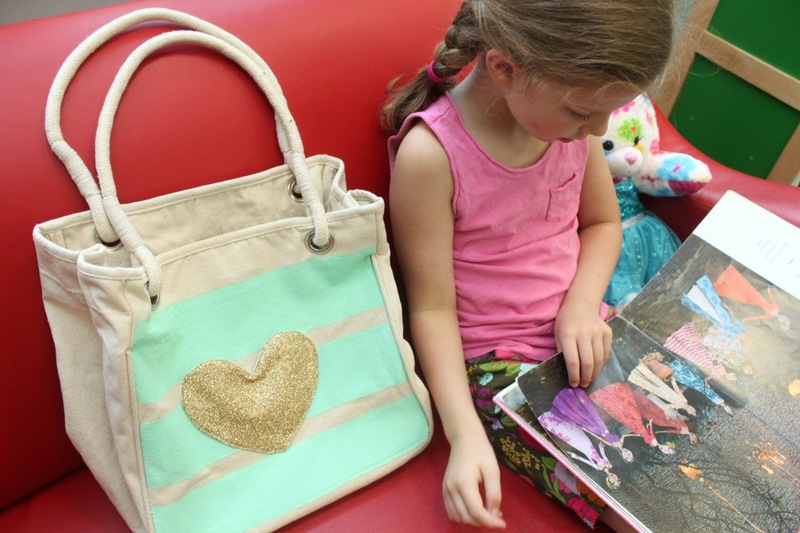 What better way than to make her a library tote to carry her library books? 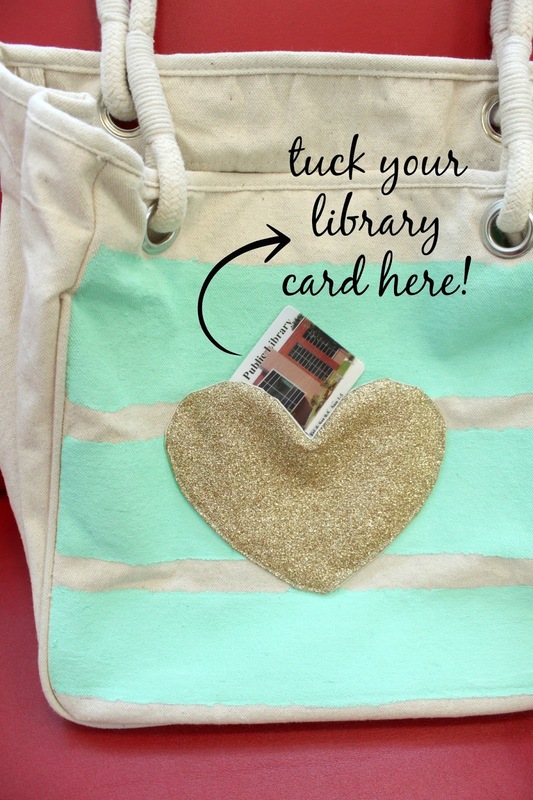 ...it has a hidden library card pocket! And a sparkly one at that because, if you have a girl, you know the more glitter, the better. 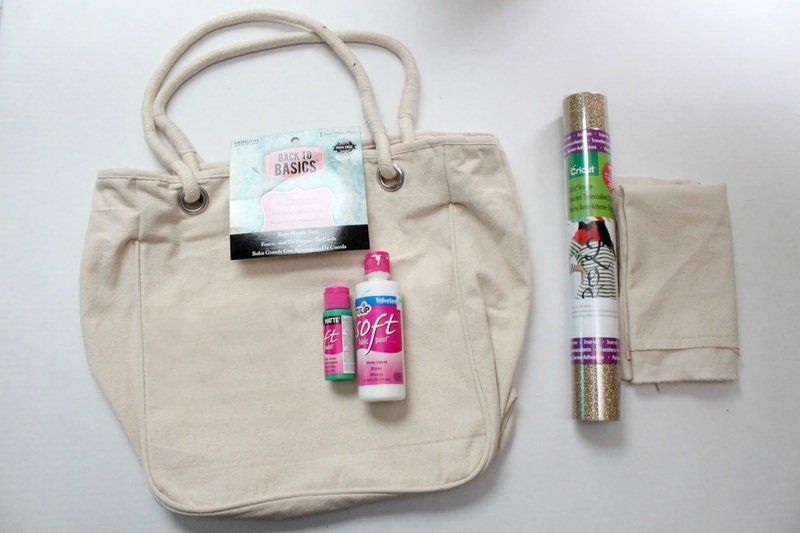 SUPPLIES: Canvas bag, fabric paints in white and green, gold glitter iron on material, scrap fabric, paint brushes, ruler, disappearing ink marker. ONE: first, use your disappearing ink marker and ruler to mark the lines for the stripes you'll be painting. TWO: mix your paint until you get the color you want, then insert some newspaper inside the bag to keep the paint from bleeding through. Using a foam brush or paint brush, paint your lines on evenly. THREE: let the paint dry according to the directions on the bottle. FOUR: fold a piece of paper in half and cut a heart to use for a template. 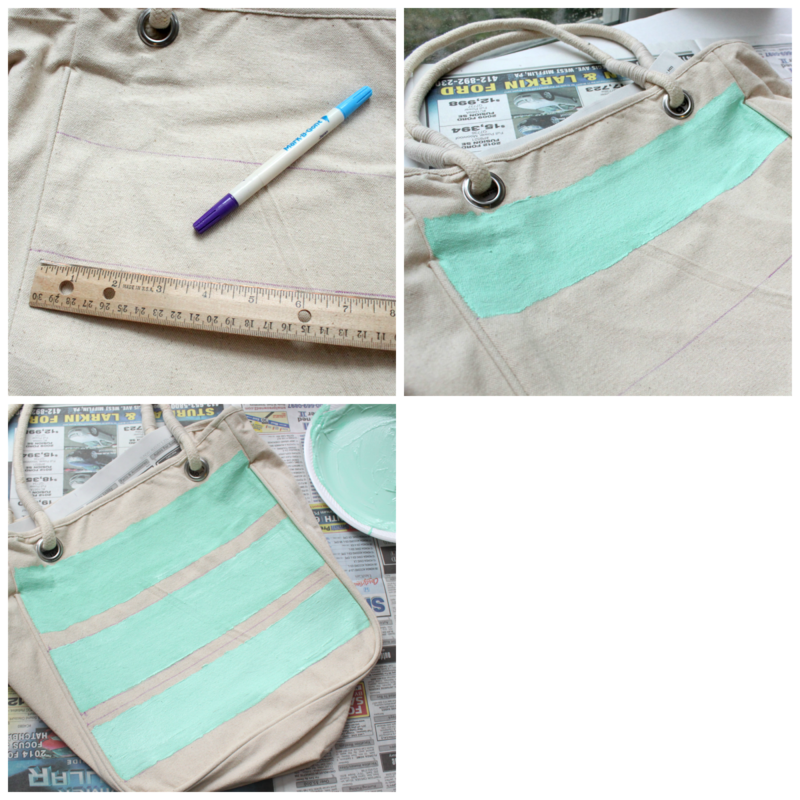 FIVE: trace your template onto your folded scrap fabric and onto a piece of your iron-on transfer material. 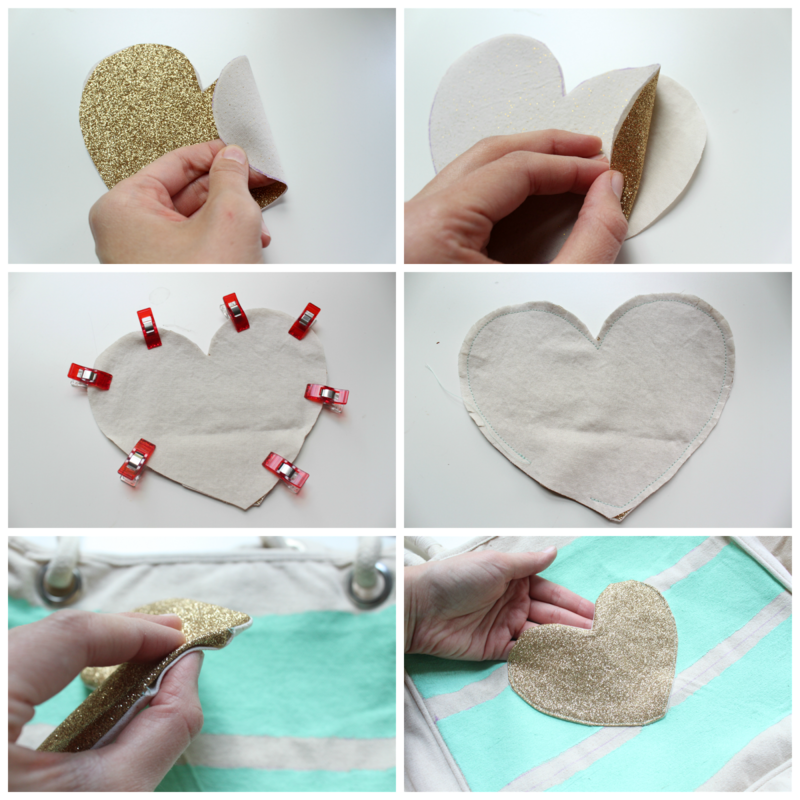 SIX: cut out one heart from your transfer material and two hearts from your scrap fabric. 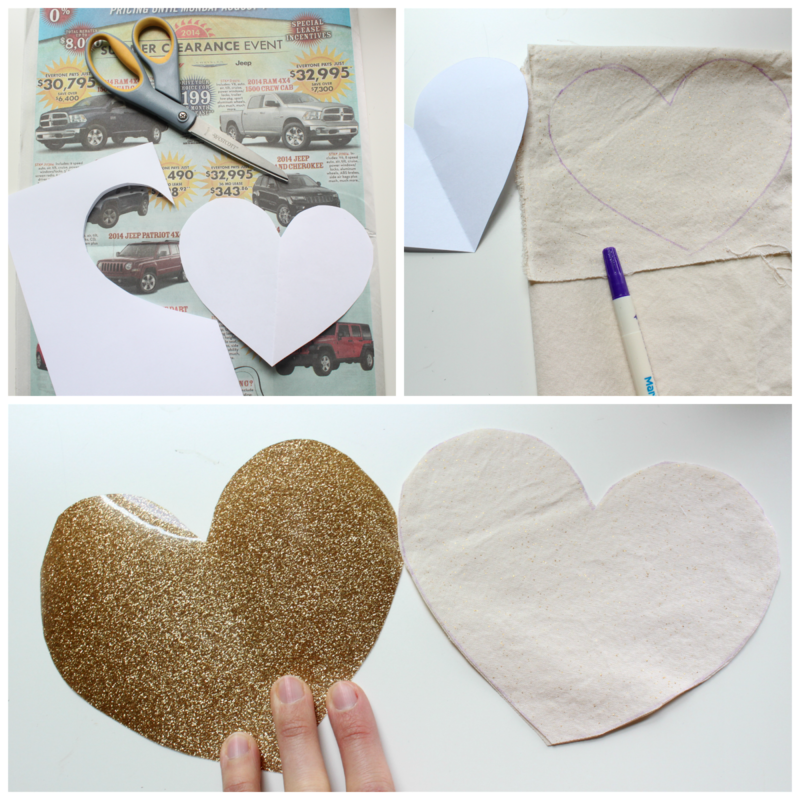 SEVEN: follow the instructions on your iron-on material to iron your glitter heart to the back (or wrong side) of one of your fabric hearts. Remove plastic. EIGHT: place your fused glitter heart face down onto the wrong side of your remaining fabric heart. NINE: use clips or pins (not suggested, but if you must use pins use them very sparingly because they will leave holes in your transfer material) to hold your sandwiched heart together. 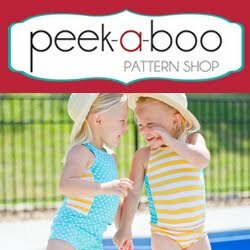 TEN: sew around the edges of your heart, leaving 2 inches for turning. Clip around the curves. ELEVEN: turn your heart right side out and tuck the raw edges of your heart inside as shown. TWELVE: position your heart onto your bag and sew along the sides and bottom of your heart, being sure to leave the top open to use as a pocket. 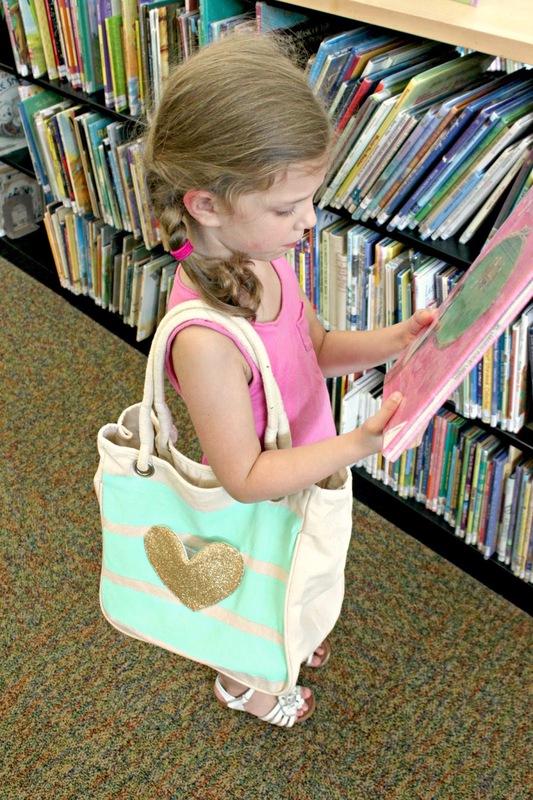 Now head to the library and put your tote to work! My daughter loved browsing the aisles and filling her tote with new books she's never read before. And, in honor of the occasion, we got Haley her own library card! 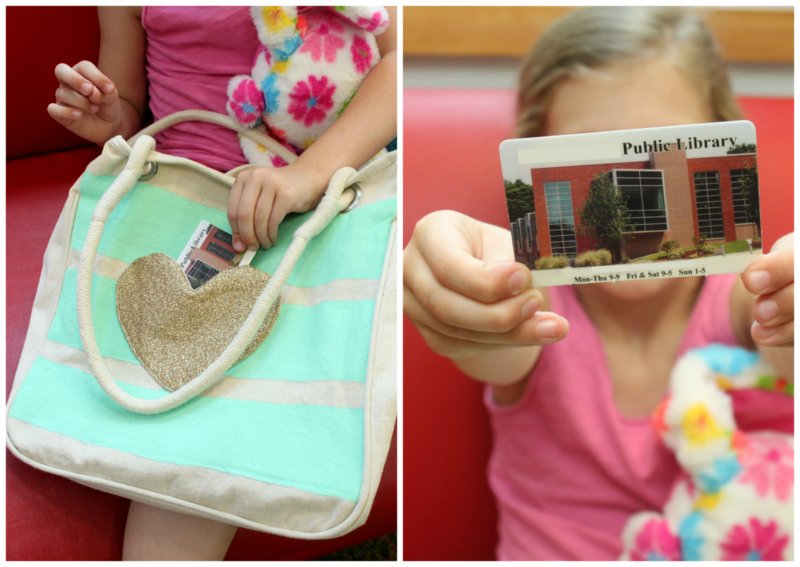 The little, sparkly library card pocket is the perfect place to tuck the card away so it's not lost in the excitement of finding new books. 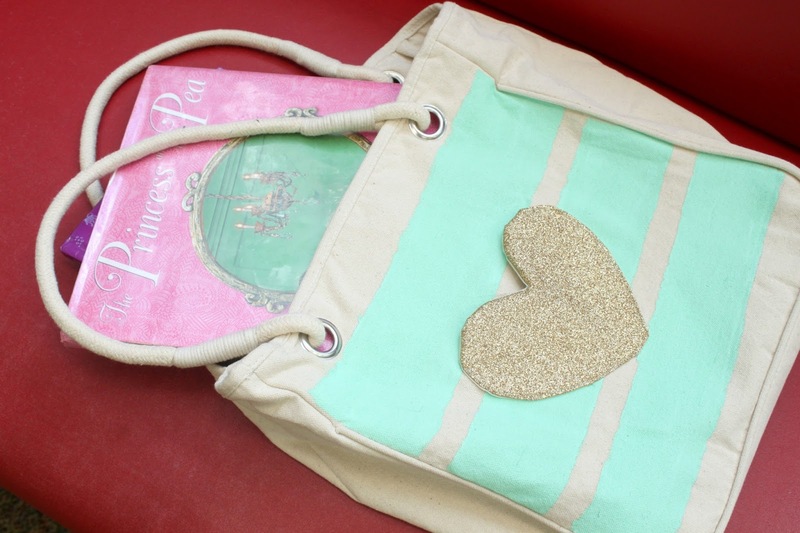 :) I have a feeling this tote will be getting a lot of use this year as my daughter learns how to read on her own. Do you have any favorite books or series of books that you love to read with your child? 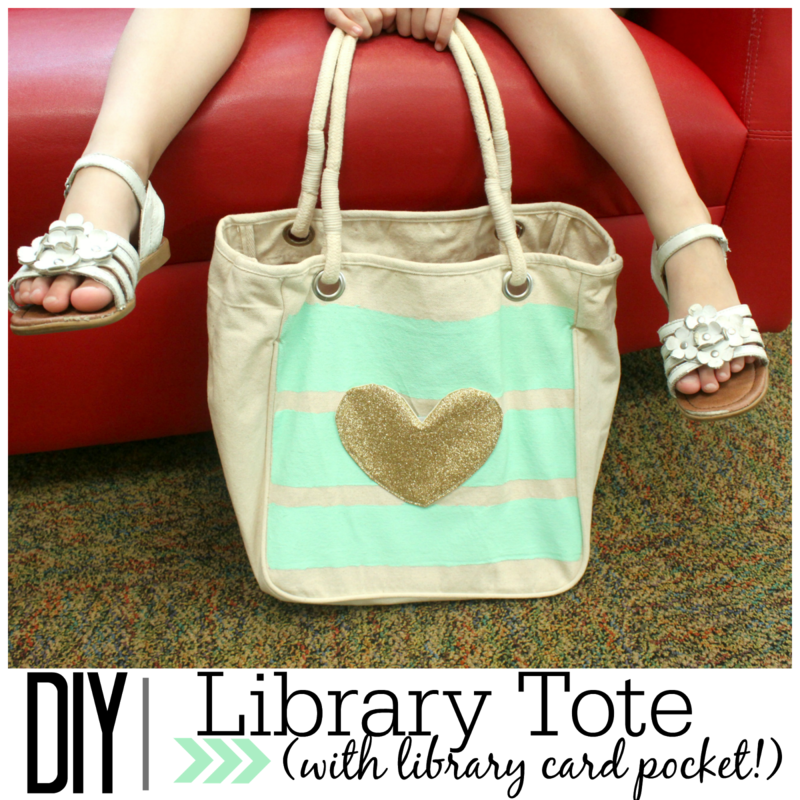 Here are some more fabulous back-to-school projects from the Michael's Makers! Adorable! Love the glittery heart!